Family travelers around the country love Southwest Airlines for its no-fuss attitude, family-friendly seating policy, strong domestic route network (now including Hawaii! ), two free checked bags, lack of change fees and its easy-to-use Rapid Rewards frequent flyer program. In fact, Southwest Airlines just came in at the No. 1 spot in the TPG Best Airline for Families report. 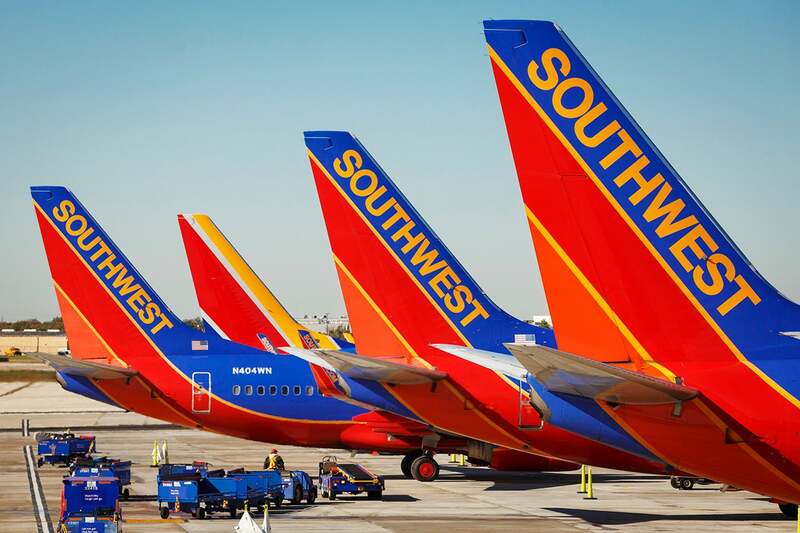 Given that Southwest is a family travel favorite, let’s look at which one of the Southwest credit cards is the right fit for families who want to fly more while spending less. Choices are a good thing, and you have multiple options when it comes to the Southwest cobranded credit cards. There are actually four different Southwest credit cards issued by Chase, including three personal cards and one small business card. Given all the options, it can be a little tricky to pick the best Southwest credit card for your family, so let’s dive right in. The first thing I look at when deciding which Southwest credit card is the best match for my family are the sign-up bonuses. Families require lots of points to get where they are going, so you will probably want to get as many points as possible when applying for a new rewards credit card. However, right now, all of the personal Southwest credit card sign-up bonuses are exactly the same. Here is the current line-up of Southwest credit card bonus offers. Once you get beyond the initial bonuses, the next elements to consider are the built-in perks of the various Southwest credit cards. 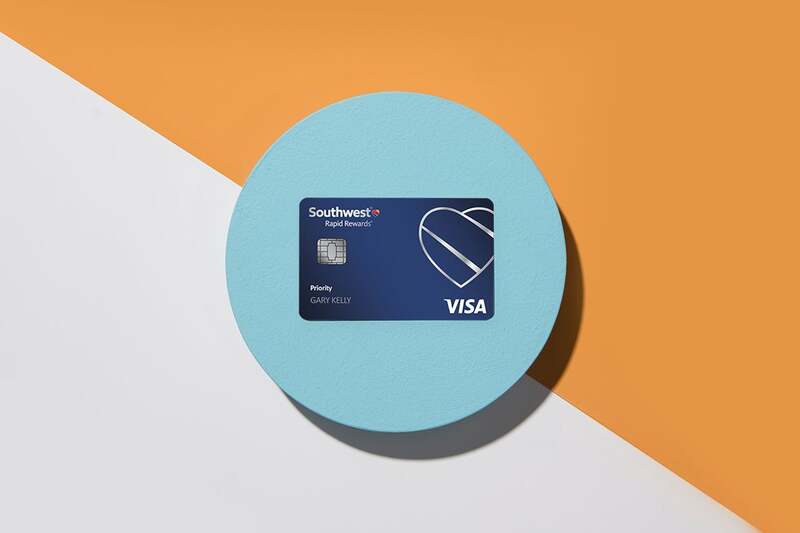 There is no question that the new Southwest Rapid Rewards Priority Credit Card has the most built-in perks of all of the Southwest credit cards. In exchange for the $149 annual fee, card holders get 7,500 bonus Rapid Rewards points at each account anniversary (worth $112.50 by TPG calculations), a $75 annual Southwest travel credit, 20% back on in-flight drinks, Wi-Fi, messaging and movies and four Upgraded Boardings in the A1–A15 position each year (worth up to $50 each). Note that Upgraded Boarding is only available the day of travel and is not the same thing as Southwest’s Early Bird Check-In that sells for $15+ per person. Assuming you will use the annual $75 Southwest travel credit and value Southwest points in a similar range as listed above, the new Southwest Rapid Rewards Priority Credit Card is actually the winner when it comes to built-in perks and discounts for families who fly Southwest. Read the full card review here. Families considering a Southwest credit card should absolutely factor earning and using the Southwest Companion Pass into the equation. 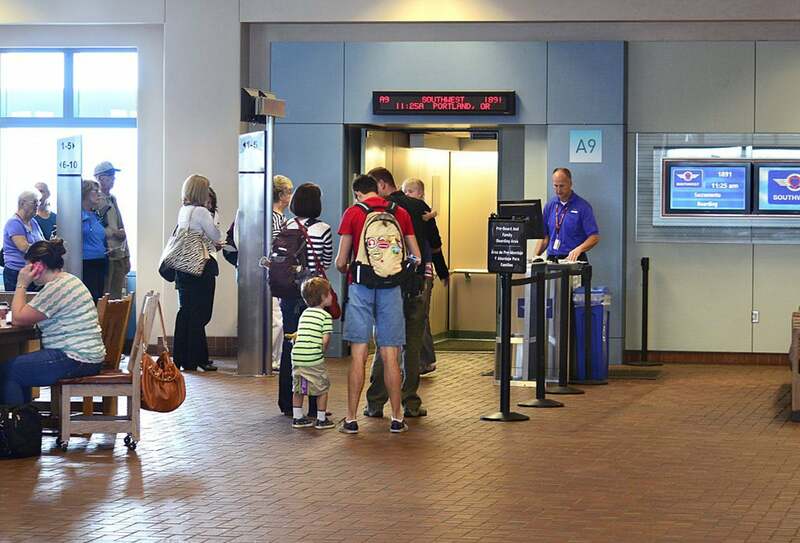 A Southwest Companion Pass normally allows the pass holder to designate one person to fly for free with them (other than paying taxes) for the remainder of the year in which it is earned and the entire following year. Having the Southwest Companion Pass basically turns your Southwest airline tickets into BOGO deals for you and your designated companion. To earn the Southwest Companion Pass you need to earn 110,000 eligible Southwest Rapid Rewards points or take 100 qualifying one-way Southwest flights in a calendar year. Not all Rapid Rewards points count toward earning the Companion Pass. For example, transfers to Southwest Rapid Rewards from the Chase Ultimate Rewards program and cards such as the Chase Sapphire Preferred Card do not count toward earning the Companion Pass. However, the sign-up bonus points and the points earned from everyday spending on the Southwest cobranded credit cards do count toward earning the Southwest Companion Pass. Since the Companion Pass calendar resets on Jan. 1 of every year, you want to really be sure that you are timing your applications wisely so that you don’t accidentally fall short of earning a Southwest Companion Pass. If you earned 40,000 bonus points from a personal Southwest card and later in the year earned 60,000 from a small business card, you’d be very close to earning the 110,000 points needed in a calendar year to earn the pass! And yes — the Companion Pass works to bring a friend or family member to Hawaii! Which Southwest Credit Card Are You Eligible For? When deciding which Southwest credit card is right for your family, you want to narrow down which card(s) and bonuses you are actually eligible to receive. With Chase’s general application restrictions, including the issuer’s infamous 5/24 rule and the terms on each specific card, it can get tricky. In practical terms, this means you cannot get approved for a new Southwest personal credit card if you currently hold one and/or received a new card member bonus for one in the last two years. This only refers to primary account holders, so if you were just an authorized user on someone’s Southwest card that should not hurt your chances of getting your own card. Of note is that the Southwest Rapid Rewards Business Card is viewed differently than the personal cards and having it now or in the past does not disqualify you from getting a personal Southwest credit card. While you do need a small business to open a Southwest business card, but keep in mind that this doesn’t necessarily have to be a huge small business. Your side-hustle may need a credit card to keep expenses separate. Every family’s travel needs, goals and budget are unique, so there will never be a one-size-fits-all credit card recommendation. That said, the new Southwest Rapid Rewards Priority Credit Card gets my vote as offering the most perks and benefits for families who fly Southwest, while the Southwest Business Premier currently has the highest number of total sign-up bonus points. Even if Southwest hasn’t been high on your family’s radar in the past, with tickets for its Hawaii routes now on sale, and lots of solid international destinations to choose from, it is a great time to get serious about Southwest Rapid Rewards and its cobranded credit cards. Featured image by Garry Lopater via Unsplash. Earn 2 points $1 on Southwest and Rapid Rewards car and hotel purchases and 1 point per $1 on all other purchases. This card also comes with an annual $75 travel credit.